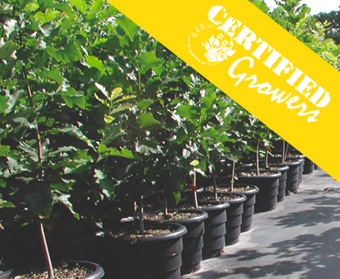 The RootMaker® Certified Grower's Program is open to commercial plant production nurseries or tree farms, whose primary business is providing top quality plant material to another nursery, landscape contractor, or the general public via retail garden centers. Cooperating nurseries and tree farms agree to follow best management practices available in other aspects of plant growth and health. RootMaker® Products Company will make available a list of best management practices for anyone seeking assistance. If you are interested in becoming a certified grower please contact us and find out how. Trees or shrubs must have been grown from seed or cuttings in RootMaker® propagation containers. Trees or shrubs must meet Certified Select requirements. Complete at least a third step, or shift, by finishing in RootTrappers® or the RootBuilder® expandable above ground containers. Centro De Desarrollo Ornamental, S.